Chef men jacket / There are 7 products. 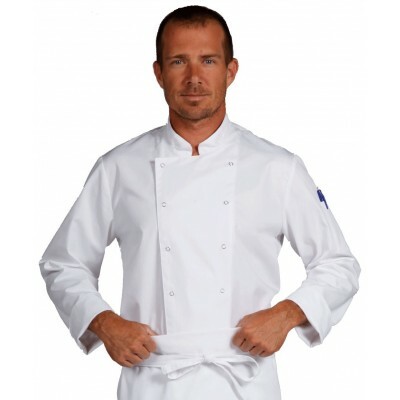 Men's chef jacket in white and colors. Men's kitchen jacket in short or long sleeves. Mao collar fitted jacket closed on the side. Mao collar slightly fitted jacket with hidden press studs. Fitted shirt with hidden press studs. Men chef coat with double row of press studs. Slightly fitted chef jacket with an inverted collar and hidden zip. 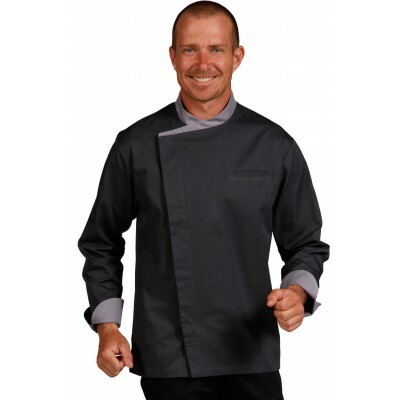 Chef coat for men with collar crossed on the side.